Oktoberfest Specials! September 20-28, 2014! 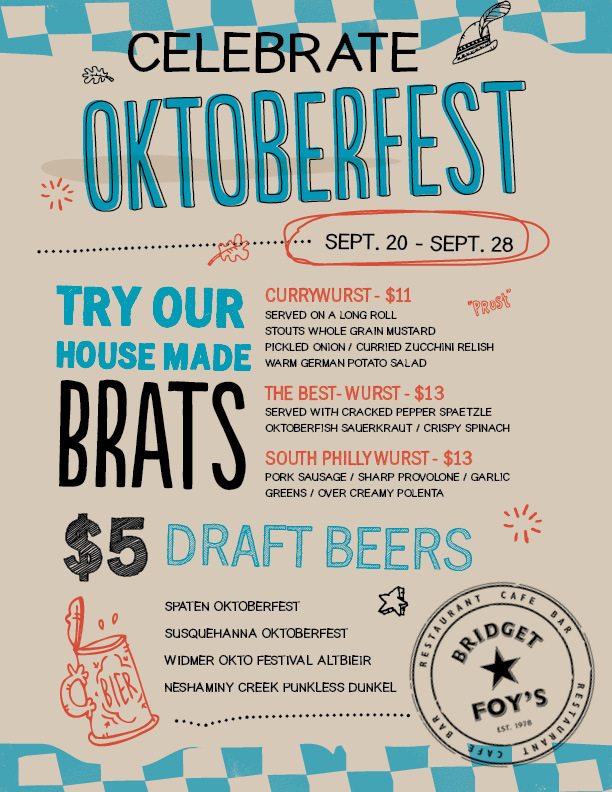 Join us for great Oktoberfest Specials, September 20-28, 2014. « Restaurant Week DINNER MENU- 4 Courses + a cocktail $35!